For more than 1500 years, across more than 4000 miles, the Silk Roads connected East and West. These overland trails and sea lanes carried not only silks, but also cotton textiles, dyes, horses, incense, spices, gems, glass, and ceramics along with religious ideas, governing customs, and technology. For this book, Xinru Liu has assembled primary sources from ancient China, India, Central Asia, Rome and the Mediterranean, and the Islamic world, many of them difficult to access and some translated into English for the first time. 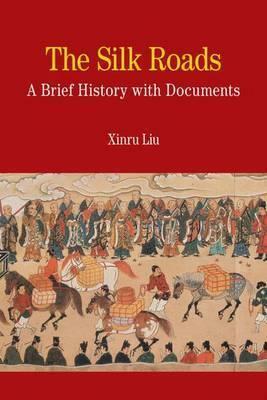 Liu's thoughtful introduction considers the many ways the peoples along the Silk Roads interacted and helps students understand the implications for economies and societies, as well as political and religious institutions, over space and time. PARTI: INTRODUCTION: FROM THE RISE OF THE SILK ROADS TO A EURASIAN MARKET SYSTEM.- China's Trade on the Western Frontier, Second-First Centuries BCE.- Rome's Trade to the East, First Century BCE-Second Century CE.- The Kushan Empire and the Influence of Buddhism, Second Century BCE-Second Century CE.- The Oasis Towns of Central Asia and the Spread of Buddhism, Third-Seventh Centuries CE.- The Byzantine Empire and Silks in Royal Purple, Sixth-Ninth Centuries CE.- The Tang Empire and Foreign Traders and Priests, Eighth-Tenth Centuries CE.- Muslim Baghdad in the Eurasian Market, Ninth-Eleventh Centuries CE.- Trade Networks from the Mediterranean to the South China Sea, Tenth-Thirteenth Centuries CE.- PARTII: THE DOCUMENTS. XINRU LIU teaches world history, the history of South Asia, and the history of Central Asia at the College of New Jersey in Ewing, USA.